In his interview with the German television channel Das Erste on Monday, Laschet, a deputy chairman of Chancellor Angela Merkel's CDU, suggested that it's time for the West to return to a policy of realpolitik, instead of limiting its international cooperation only "to those [foreign] statesman who everyone likes." "We must once again gradually return to realpolitik," the politician, a former MEP and MP and current State MP in North Rhine-Westphalia, explained. "How dependent are we on Mr. Putin, if we want to resolve the conflict in Syria? That's life," the politician added. "Russia is an important power, and therefore it is good that Mr. Putin is involved in the Syrian conflict. Without him, nothing will get done." Reminded by his interviewer that Berlin continues to maintain sanctions against Moscow, Laschet responded by noting that as far as the Syrian war and the war against the Daesh (ISIL/ISIS) terrorists are concerned, the conflict cannot be won without Russia's participation. "We cannot engage in politics only with those people who everyone likes. We need to engage in politics with those who are there. And the war in Syria will end only if Russia, the US, the EU, Saudi Arabia and Iran work together in the fight against Daesh, which will be quite difficult." "If this does not happen," the politician warned, "the war will continue for a long time. It's hard, but we must work at it. 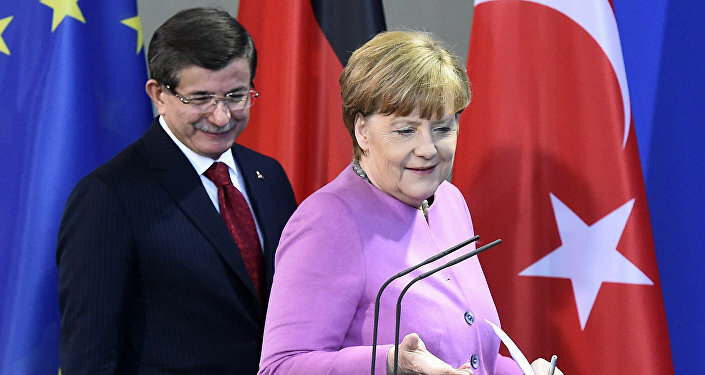 This also applies to Mr. Erdogan – whether I like him or not, right now he is the president of Turkey." 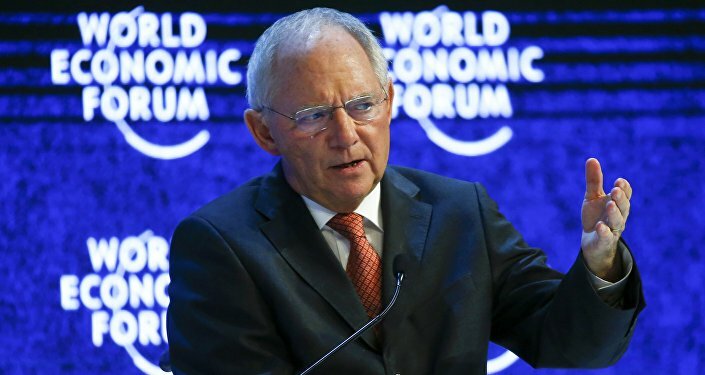 On Sunday, German Finance Minister Wolfgang Schauble wrote an article for Frankfurter Allgemeine Zeitung where he suggested that Europe should work with Russia to find a solution to the conflict in the Middle East. "We are affected more than other continents by what happens in this region," the minister added.